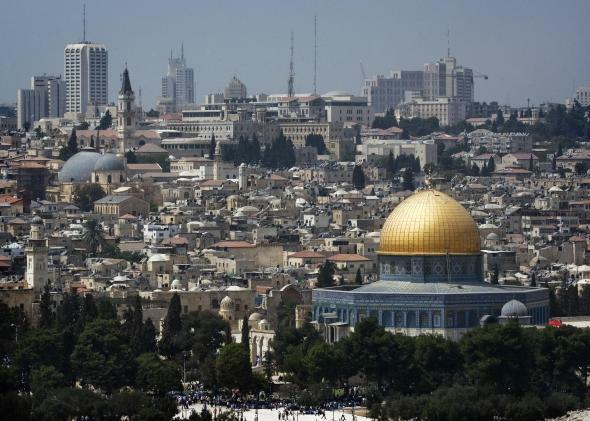 Zivotofsky v. Kerry: Supreme Court strikes down born in Jerusalem Israel law. Is Jerusalem part of Israel? Ask the president, not Congress! On Monday, the Supreme Court struck down a law that permitted Jerusalem-born Americans to list their birthplace as Israel on their passports. Since the founding of Israel in 1948, the United States has remained officially neutral as to the status of Jerusalem—a policy Presidents George W. Bush and Barack Obama have maintained. With its passport law, Congress hoped to override the executive and thrust America into the international debate over the triply holy city. The majority opinion, authored by Justice Anthony Kennedy, rests on a fairly straightforward reading of the Constitution. The Reception Clause gives the president the authority to acknowledge a nation’s sovereignty, in effect granting him the power to officially recognize other countries. Moreover, Article II charges the president with negotiating treaties, nominating ambassadors, and dispatching diplomatic agents. Taken together, these powers suggest that the president has the ultimate authority to decide whether or not the United States will recognize Jerusalem as part of Israel. Justice Samuel Alito joined both dissents. The four liberals joined Kennedy’s opinion in full. Justice Clarence Thomas—a huge supporter of executive power—concurred in part of the judgment, holding that Congress can call Jerusalem part of Israel on consular reports of birth abroad, but not on passports. That makes the vote count 6-to-3 on the passport issue—a victory for the president’s ability to speak for the nation when recognizing the legitimacy of foreign power.